This regal breed combines great size and power with elegance. It is square-proportioned and well-balanced. Its gait is strong and powerful with long, easy strides. These attributes are necessary in a dog required to overtake and then over-power relatively swift but formidable quarry. Its coat is short, thick and glossy. 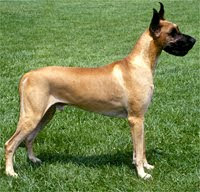 The Great Dane is most noteworthy for its majestic carriage and appearance — the "Apollo of Dogs." ~ First before you read the below I have to say I own a Great Dane and a Chihuahua so I will be able to tell you first hand my costs. But to this day I have not spent ONE PENNY on Teagan, our Chi, due to any destruction in our house or any others home. To date Nova has chewed one doggy poo bag holder worth $4.99 and that was only because we were driving a 9.5 hour trip when she was 12 weeks old and I couldnt see what she was doing. There are, of course, understandable mistakes like tails knocking things over or danes running into walls or doors but I think that some of the people who do spend this kind of money just for destruction need to look at their training techniques and need to report this when these polls are being done! So this is why I am posting this. I think it is a little out of line! 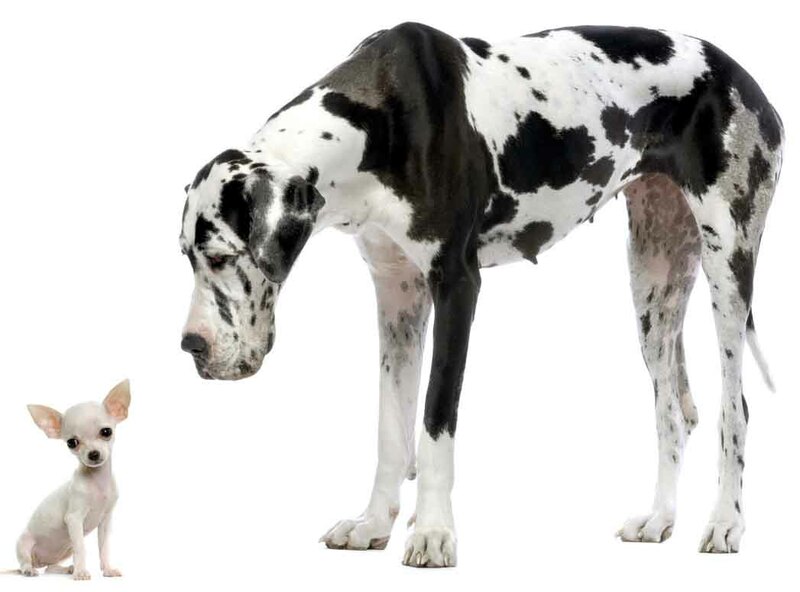 "The average Great Dane cost its owners $1200.00 over its lifetime in stained carpets, wrecked furniture and chewed cables, while chihuahuas notch up an impressive $1300.00 dollars worth of damage. Mastiffs came third, costing their owners $1100.00 over a lifetime while Basset Hounds were found to cause $1100.00 of damage on average. Finishing off the top five is the Whippet, which will leave a trail of destruction totaling $1000.00. Other dogs with wrecking tendencies include English Setters, Bulldogs, Dachshunds and Boxers. Among horror stories that emerged in the study was one about a Great Dane who thought the patio doors he was hurtling towards were open and knocked them straight out of the wall. Another owner told how his Border Collie’s wagging tail knocked over a large glass of red wine onto a cream carpet, two days after it had been laid at a cost of $6000.00. Mike Pickard, Head of Risk and Underwriting at esure pet insurance, said a dog’s destructive tendencies comes down to boredom. “To help minimize your dog’s destructive behavior, remember to house train them from a very early age, maintain their health with regular vet check-ups, and give them plenty of exercise,” he said. How much money has your dog cost you in damages?"